You may already have seen this error message uncountable times. It is still as annoying as ever that the loading bar just won’t stop bouncing. 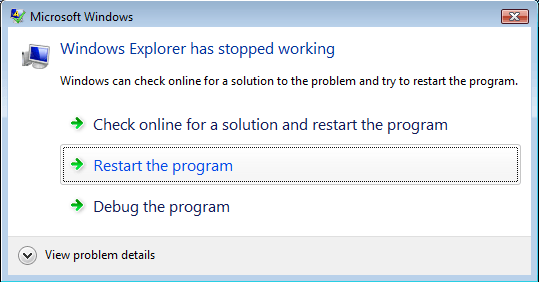 The “Windows Explorer has stopped working” error can appear when the application you are running crashes your Windows Explorer service, or when it crashes itself. 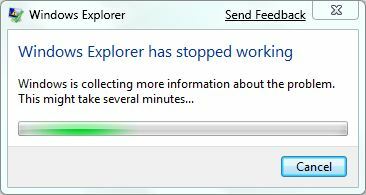 Usually after you’ve responded to the Windows error reporting, your Windows desktop or what we called the explorer.exe will relaunch which result in your desktop going blank for awhile and reload along with your icons and taskbar. 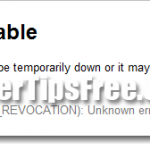 If you are looking for a fix to this, you will have to start investigating and troubleshooting from the root of the problem which is the application that crashes your Explorer. There is no way to tell how to fix this error if all you can provide is the error message. Well, you can, however, stop the “Windows Explorer has stopped working” error message, or what we called the Windows Error Reporting service, from popping up ever again. We will start by explaining what this windows error reporting service is. 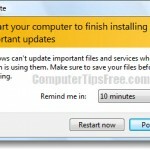 To many people, as well as us, it is just another meaningless pop up window that tells you the Windows explorer has crashed and that the Windows is currently collecting information about the problem you’ve just encountered and it may take several seconds to minutes to finish the process. 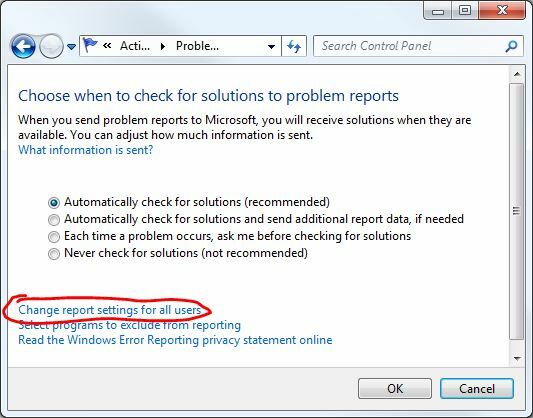 Then, you can choose to report the error (the classic send or don’t send error report), debug the program, or check online for solution, in which all of them are usually useless to your situation. 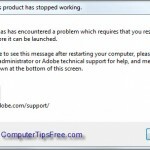 The program you were running may still be able to run even after this message has appeared. 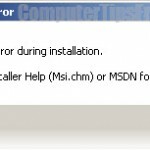 In this post, we will show you how to disable the annoying Windows Error Reporting service from prompting to you ever again. 3. You’ll then be given 4 options which allow you to choose when to check for solutions to problem reports and adjust how much information is sent. 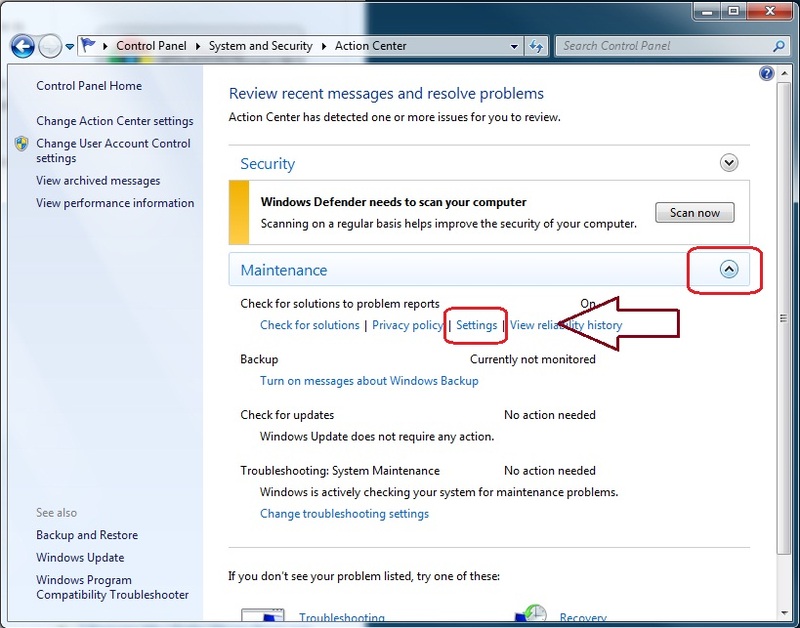 Automatic check for solutions – Set as default and recommended by Microsoft. 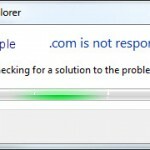 It will automatically check for solutions as usual when an exe gone bad. Automatically check for solutions and send additional report data, if needed – We’re not sure what are the additional report data, but this option will certainly take more time than usual to check for solutions. 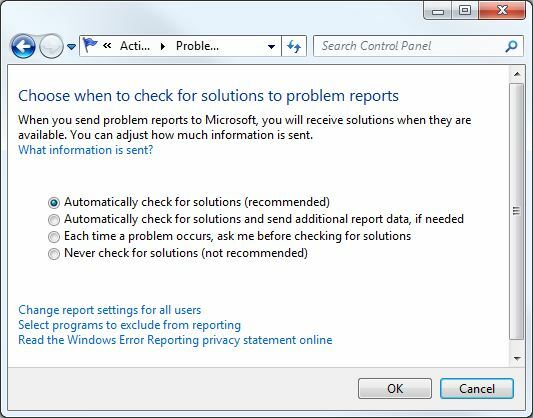 Each time a problem occurs, ask me before checking for solutions – If this is chosen, the checking process won’t be loaded automatically, instead you’ll be asked whether you want to check for solutions or take other actions, as shown in the following window. Never check for solutions – This is however not recommended by Microsoft. 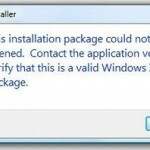 When this option is selected, the application will be shut right off when any problem occurs. 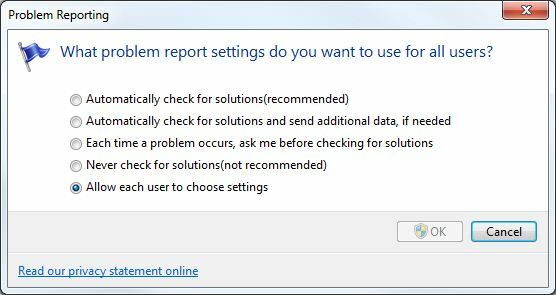 To completely disable the windows error reporting, you’ll have to pick this option. 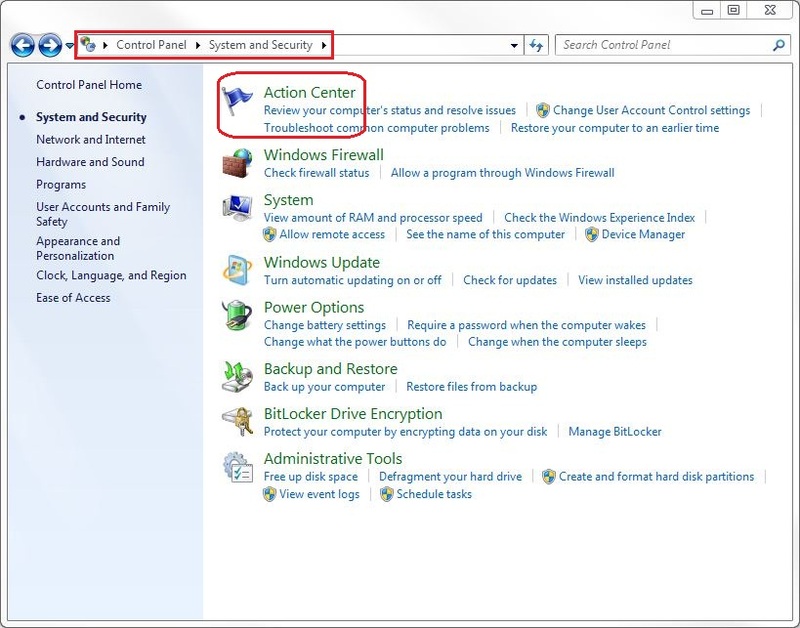 Additional Option 1: If you have more than one user using your Windows 7 and you want to set the same behaviour for windows error reporting for all users, click on the link Change report settings for all users, and select the option of your choice. 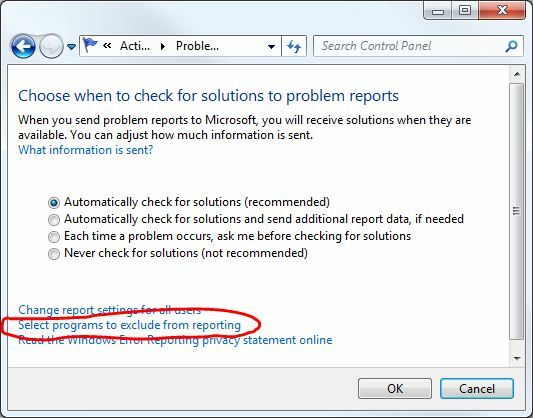 Additional Option 2: If you wish to exclude only certain programs from problem reporting, click Select Programs to exclude from reporting. From there you’ll have to Add the applications that you want them to be excluded from error reporting. 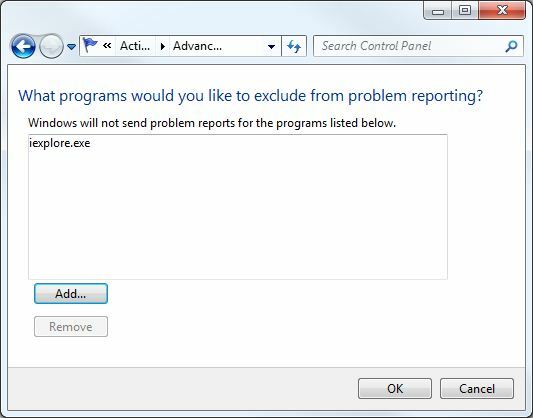 You can add whatever exe application into this box so that the Error Reporting service won’t show up when the program exe has stopped working. As mentioned earlier, this doesn’t solve anything. It just stop the error reporting from doing all the nonsense and wasting your time. You will still have to deal with what actually crashes your windows explorer. Like what we have told you earlier, if you encounter this error only after you launch or in the middle of an application program, you will have to deal with the program itself. Search for its fix in the program’s related community forums. 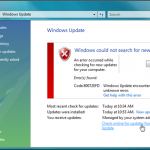 Sometimes problems can arise due to incompatibility of your current Windows OS version. Try to run it on a different system or on a different computer.